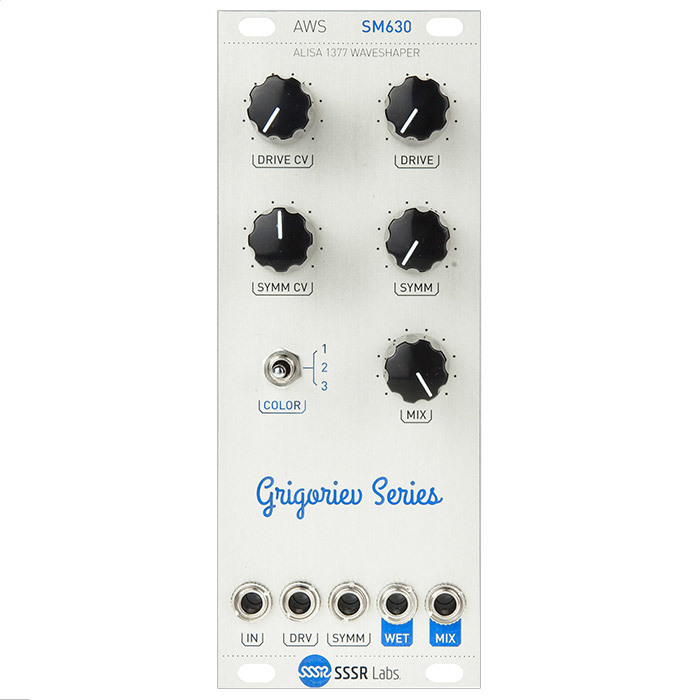 The SSSR Labs AWS is an analog non-linear waveshaper with voltage controlled gain and symmetry, and 3 selectable colors of shaping. 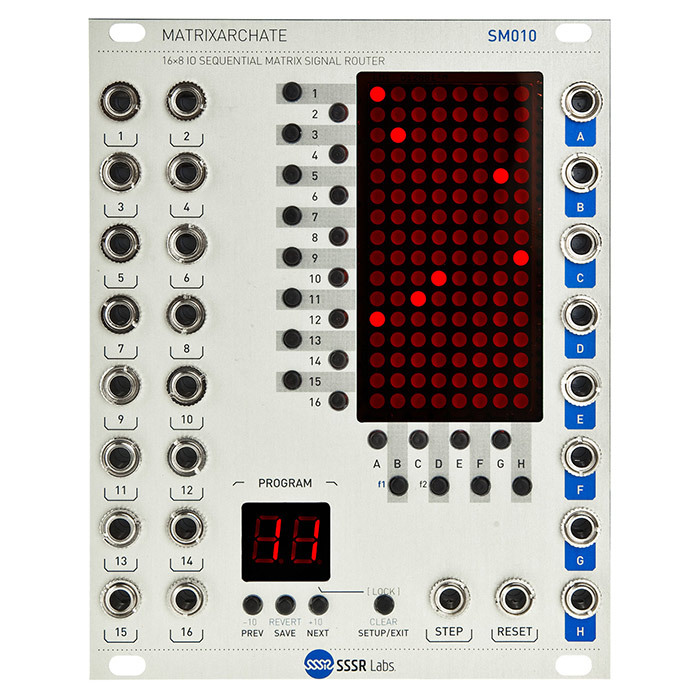 This is the first collaborative design by Dmitry Shtatnov and Vyacheslav Grigoriev, and is inspired by the «Harmonics» waveshaper section of the Soviet monophonic keyboard synthesizer, Alisa-1377. Hence the name: Alisa Wave Shaper. 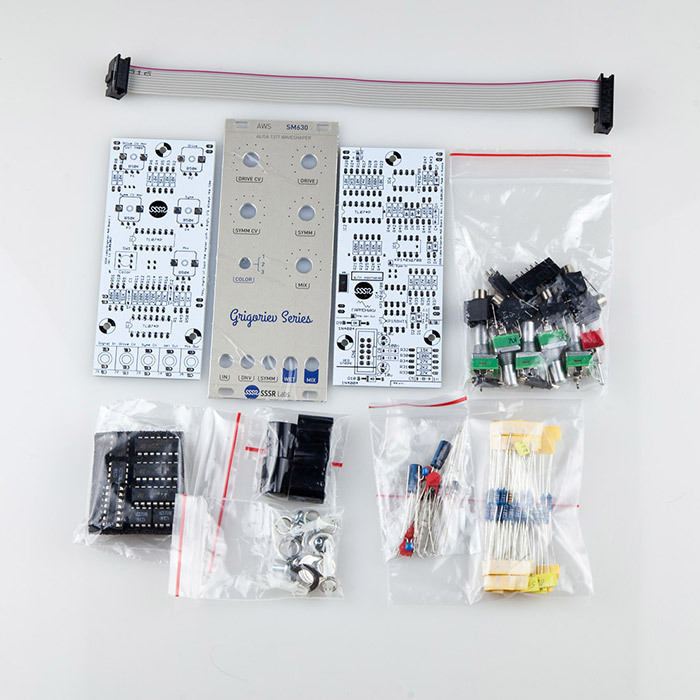 The circuitry partially resembles the original schematic, but it has been updated to add full voltage control over parameters. The principle of operation is based on a folding VCA with VC balance of the differential stage, followed by two non-linear processing stages, emphasising the small non-linear window near the zero-crossing region. The Color switch adds a special feedback loop inside this circuitry, and a filtering stage, which results in three different sounding modes. 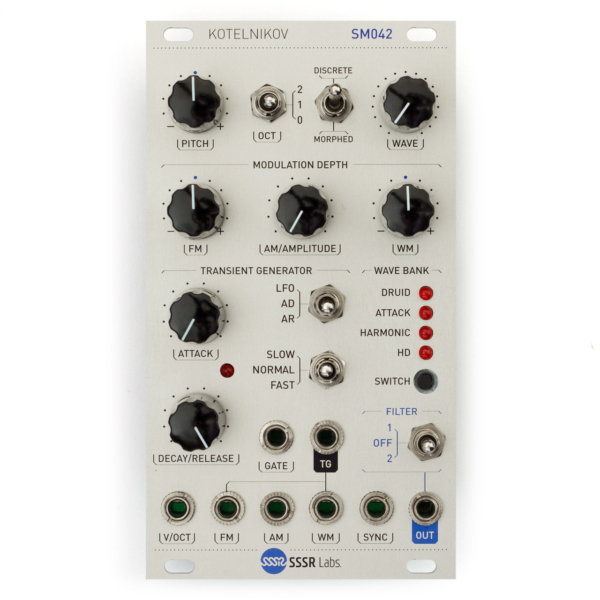 This module works best with harmonically low waveforms, such as sinewaves or triangles, but interesting effects can be reached using sawtooth waves or other shapes with smooth transient stages, such as a filtered analog oscillator, or a wavetable oscillator. 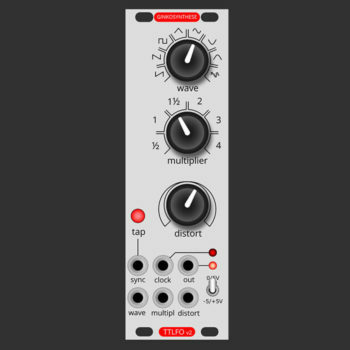 The AWS also can process LFO, EG or even a simple DC offset. 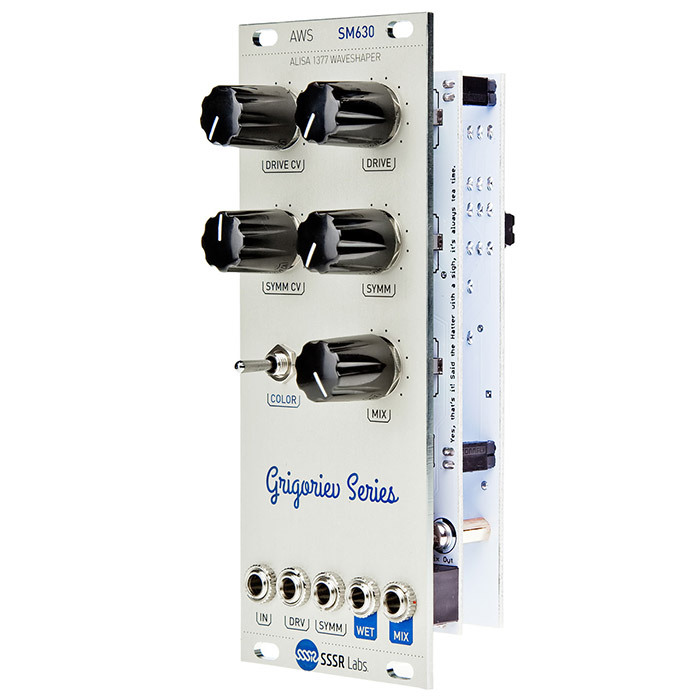 The non-linear function is persistent for each unit, and uniform over the full frequency range including DC, so it can transform a simple envelope waveform or a sequence into something very complex and unpredictable.